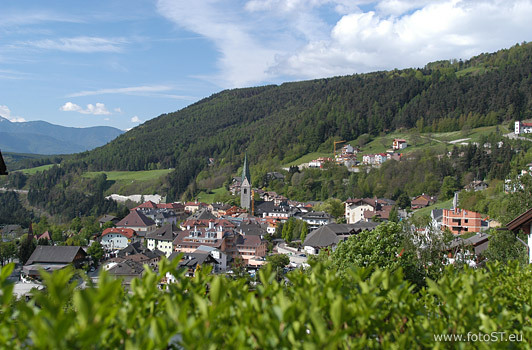 Rio Pusteria / Mühlbach in the holiday region Valle Isarco is the ideal holiday destination for those seeking recreation as well as for nature lovers of all ages. Untouched swathes of land, harmonious tranquillity and a wide range of activities for sports enthusiasts make for a diverting vacation in South Tyrol. Two of the main highlights are the mediaeval fortress “Mühlbacher Klause” and the village centre with its many narrow alleys, modern shops and lovely cafés; the strong influence from mediaeval times is clearly visible here. And let's not forget about the outstanding wellness programmes which are on offer at the hotels, holiday flats, bed and breakfasts and other, individual accommodation facilities in Rio Pusteria.